Here at the Investing News Network our mission is twofold; to provide the latest news and quality education by helping you identify investment opportunities in niche markets, and helping leading companies communicate their value to investors. Connecting investors with opportunities is what we do best. We are proud to present several companies which are new to the Investing News Network. Below you will find links to educational profiles on leading companies offering opportunities in growth markets such as Cannabis,Copper, Gold, Lithium, Uranium, Potash, Tungsten, Zinc, Technology and Life Science. Please note these profiles are not buy recommendations. There are many factors that you should consider before purchasing stocks. The purpose of these profiles is to present an in-depth value proposition for each company and provide you with the opportunity to easily request more information for your due diligence. Cannara Biotech Inc. (CSE:LOVE) is building a vertically-integrated cannabis company focused on cultivating and developing cannabis-infused products at their 625,000-square-foot indoor, multi-purpose cultivation facility – one of the largest in Canada and largest to date in Quebec. Once operational, the facility will contain 500,000 square feet of production space, 100,000 square feet of processing space and will be capable of producing over 100,000 kilograms of cannabis annually. Cannex Capital Holdings Inc. (CSE:CNNX;OTCQX:CNXXF) is well on its way to becoming a leading vertically integrated multi-state cannabis company specializing in boutique cultivation, extraction and manufacturing as well as brand development, distribution and retail. Cannex very much sees the industry evolving into a national consumer branded goods sector where a focus on retail and product brands, underpinned by strong operations and experienced management, will be the defining characteristics of successful companies. Datametrex AI Limited (TSXV:DM) is a technology-focused company that acquires or partners with organizations developing best-in-class, disruptive technologies. Datametrex then scales and positions these companies for long-term growth and value creation before spinning them out into stand-alone public entities. Datametrex’s wholly-owned subsidiaries, Nexalogy and Canntop, utilize artificial intelligence (AI) and machine learning technology to provide data to businesses and government agencies. Osoyoos Cannabis Inc. (CSE:OSO) intends to process raw cannabis to produce cannabis extracts for Canada’s medicinal and recreational cannabis markets. The company will generate revenue through third-party contract and toll processing, wholesaling of oils and distillates, white-label solutions and through selling Osoyoos Cannabis-branded products. The company has also re-submitted its processing license application to Health Canada through the Indigenous Navigator program, which the Company believes will help expedite the licensing process. This article is updated each month. Please scroll up for the most recent information. 3 Sixty Secure Corp. (CSE:SAFE) is a multinational security management and services company specializing in consulting, guarding and transportation across a range of industries in both the public and private sector. The company is the only seed-to-sale security management provider for Canada’s Cannabis Industry, and also provides security services to the mining, oil and gas, non-core policing, and secure infrastructure sectors. Led by a team of top industry professionals, 3 Sixty is working to build out additional revenue streams in 2019 and beyond. Canadian Energy Materials Corp. (TSXV:CHEM) is a global mineral exploration and development company focused on establishing a portfolio of high-quality energy metal projects. The company is in the process of developing their Grindstone copper-nickel-cobalt property in New Brunswick, Canada and is working to prove that there are DRC-style deposits and mineralization to be found on the property. CROPS Inc. (TSXV:COPS) is a pre-production mining company focused on developing its flagship Bayovar 12 sedimentary phosphate project located in Northwestern Peru. The Bayovar 12 project is located in the Sechura Basin which has one of the world’s largest fertilizer companies producing Rock Phosphate for the off-shore market. The Miski Mayo mine is only 15 kilometers from CROPS’ deposit and Bayovar 12 sits only 40 kilometers from the nearest sea port, positioning CROPS favorably for export to international markets. Mammoth Resources Corp. (TSXV:MTH) is a gold-silver mineral exploration company focused on defining a mineral resource on their Tenoriba gold-silver exploration project located in the Sierra Madre precious metal belt in southwestern Chihuahua State, Mexico. The Company has partnered with Centerra Gold Inc. (“Centerra”) (TSX:CG), which has the option to earn a 70 percent interest in the property provided they spend US$9 million (C$12.5 million) in exploration expenditures over a maximum seven year period. Peloton Minerals Corporation (CSE:PMC, OTCQB:PMCCF) is a junior exploration company developing shareholder value by acquiring and enhancing exploration prospects through managerial experience and technical expertise. The company has three gold exploration projects located in eastern Elko County, Nevada. Plymouth Rock Technologies Inc. (CSE:PRT; OTCQB:AXDRF; Frankfurt:4XA) is a security technology company dedicated to developing unique radar and image processing techniques to counter high-casualty terrorist and assault weapon threats. The company’s mandate is to produce low-cost and high-performance threat detection solutions that utilize state-of-the-art technology to protect public infrastructure and save lives. TransCanna Holdings Inc. (TransCanna) (CSE:TCAN) through its California subsidiaries manages cannabis branding, transportation and distribution companies in California that assists cannabis cultivators and manufacturers in getting recognized by end-users and consumers. Currently, the Company offers their client’s branding and design services, but intends to roll-out distribution, transportation and sales services in the near future. Asterion Cannabis Inc. is a vertically-integrated Canadian cannabis company with operations in Australia. The company aims to be a leader in precision agriculture and to produce high-quality, low-cost and genetically-uniformed cannabis strains and products. To achieve this aim, Asterion is developing a 40-hectare, or 4.3 million square foot, pharmaceutical-grade medicinal cannabis facility in Southeast Queensland, Australia. Cardiol Therapeutics Inc. (TSX:CRDL) (Cardiol or the Company) is a biotechnology company focused on developing proprietary formulations that will treat some of the most life-threatening diseases in the western world. The Company is investigating targeting drugs to the heart to treat diastolic heart failure, including the use of highly purified pharmaceutically-manufactured cannabidiol (CBD). Cardiol is also addressing glioblastoma multiforme (GBM), a highly-aggressive malignant tumor of the central nervous system, by combining cannabinoids and cell-based immunotherapies to improve the treatment of GBM. The Company’s work on GBM could see a potential breakthrough immunotherapeutic carried into clinical development under the US FDA’s fast-track Orphan Drug program in 2019. DigiMax Global Solutions (legally named DigiCrypts Blockchain Solutions pending a name changed to be approved by Shareholders at the next Shareholder Meeting), is a Toronto, Canada based company designed to become a world leader in advising companies issuing Security Token Offerings (STO’s) on a 100% Regulatory Compliant basis, in any country around the world. Flower One Holdings Inc. (CSE:FONE; OTCQB:FLOOF) is focused on becoming the leading cannabis cultivator and producer in Nevada. By focusing on the Nevada cannabis market, the company is committed to ensuring that they deliver results in the space and for their shareholders. In order to achieve this objective, Flower One is developing and producing a diverse range of products that they intend to sell through four channels: resell, wholesale, private and white label and retail. Jade Leader Corp. (TSXV:JADE) is a mineral exploration company focused on the acquisition and exploration of early-stage jade projects in North America. Jade Leader now has one jade project in British Columbia, Canada as well as 5 other projects located in Washington and Wyoming, United States. Lexaria Bioscience Corp. (CSE:LXX,OCTQX:LXRP) is a biotechnology company that has submitted over 50 patent applications and has been granted 10 patents. Operating on an out-licensing and royalty business model, the company generates 90 percent of its revenue from royalties and through their licensing agreements on its patented DehydraTECH™ technology. Vencanna Ventures Inc. (CSE:VENI) aims to be a strategic capital provider for state compliant, early-stage vertically-integrated cannabis companies. Vencanna targets companies that operate in limited licensed jurisdictions or possess competitive advantages whether through scale, branding, and / or technical advances. Combining Vencanna’s access to deal flow through their deep global contacts along with the management team’s deal and investment experience, gives the Vencanna shareholder a unique investment opportunity. Yield Growth Corp. (CSE:BOSS) is a cannabis asset growth corporation with assets in media, technology and products. The company primarily acquires, develops, markets and sells wellness and cosmetic products through their wholly-owned subsidiary Urban Juve Provisions Inc. under the brand Urban Juve. Commander Resources Ltd. (TSXV:CMD) is a resource company that was founded in 1989 and operates under a prospect generator model. The company has developed a portfolio filled with joint venture opportunities, exploration projects, royalties and investments across Canada. EnerDynamic Hybrid Technologies Inc. (TSXV:EHT) is a Canadian global energy solutions company focused on providing eco-friendly disaster-relief products to countries and areas in need. EnerDynamic has developed a line of patented solar panels, solar systems and house and building materials integrated with solar technology for government and general public use. ExGen Resources Inc. (TSXV:EXG,OTCMKT:BXXRF) is pursuing a project accelerator business model, bringing partners to fund exploration and development activities on its projects. The company currently has six projects, all located in mining-friendly jurisdictions in North America. The project accelerator business model provides shareholders with exposure to the entire mining cycle, from new discoveries to advanced exploration and cash flow visibility. The use of partners to fund property expenditures also reduces the technical and financial risks typically associated with mineral exploration and development. Go Cobalt Mining Corp. (CSE:GOCO) is a Vancouver-based mining exploration company that is focused on developing energy metal projects for the growing battery market. The company is currently focused on developing their copper-cobalt Monster project in the Yukon, Canada. Heritage Cannabis Holdings Corp. (CSE:CANN;OTCMKT:HERTF) is focused on becoming a vertically-integrated cannabis provider. To fulfill this goal, Heritage has acquired two licensed producers in British Columbia and Ontario, Canada, respectively: PhyeinMed and CannaCure. The company is also in the process of acquiring Purefarma, a well-regarded hemp and cannabis extraction company. Japan Gold (TSXV:JG) is a gold exploration company with a vast portfolio of 17 gold projects that cover 69,505 hectares across the island nation of Japan. Japan Gold’s leadership team has long recognized the potential for gold exploration in Japan. When the Japan Mining Act was amended in 2012 for the first time, allowing foreign mineral companies the ability to hold exploration and mining permits, Japan Gold was the first foreign mineral exploration company to seize this opportunity. Matica Enterprises Inc. (CSE:MMJ;FWB:39N;OTCPink:MQPXF) is a licensed cannabis producer operating in Quebec, Canada. Matica is targeting the self-medicating cannabis and recreational markets by providing high-quality cannabis flower. The company also has its sights on obtaining a license to extract oil, so as to develop distillate and oil-based products. Matica intends to produce proprietary time-released topicals for the pain management market. NanoSphere Health Sciences (CSE:NSHS) is a nano-biotechnology company paving the way in the development of innovative delivery systems for cannabinoids, medications, nutrients, and animal health. Built on a foundation of over 20 years of research and development, NanoSphere has designed a patented delivery system that increases the effectiveness and delivery time of cannabinoids (THC and CBD) by nanosizing the particles and transporting them directly into the bloodstream. Standard Lithium Ltd. (TSXV:SLL,OTCQX:STLHF,FWB:S5L.F) is a project development company that is focused on unlocking the value of existing large-scale US based lithium brine resources that can be brought into production quickly. The Company is also pursuing the resource development of approximately 45,000 acres of mineral leases located in the Mojave Desert in San Bernardino County, California. Aura Health Inc. (CSE:BUZZ) is a global, vertically-integrated medical cannabis company. Their goal is to grow high-quality, low-cost flower in Israel that will then be exported, extracted and sold in medical cannabis jurisdictions in Europe. Biome Grow Inc. (CSE:BIO) is a cannabis company that is building the next Canadian cannabis conglomerate. The company is focused on the local consumer and regional cannabis growing and business growth primarily in Atlantic Canada. Founded on the idea that biomes are groups of biological communities that have been created in response to a common climate or goal, the company has developed a business model that focuses on catering to specific areas. Through the company’s subsidiaries, Biome is working to establish unique consumer, regional and B2B brands, products and services that are overseen by a centralized management team. Bougainville Ventures Inc. (CSE:BOG) provides infrastructure and seed-to-sale services to licensed tenant cannabis growers in Washington state. Many cannabis companies face challenges as they set up their business, such as high capital costs and a lack of access to traditional funding. Bougainville Ventures provides these companies access to cultivation facilities, as well as ancillary services, such as recycling, soil remediation, equipment leases, property management, consulting and advisory services and yield optimization technology. BriaCell Therapeutics Corp. (TSX:BCT, OTCQB:BCTXF) is biotechnology company with a mission to develop innovative immunotherapies for treating cancer. Currently, the company is in the process of developing its lead candidate, Bria-IMT™, as well as its Bria-OTS™, an off-the-shelf personalized immunotherapy, the first of its kind for advanced breast cancer. Graph Blockchain Limited is a blockchain development company that provides state-of-the-art private blockchain solutions for corporations and government agencies. The company uses a five-prong business model based on developing channel partnerships, direct sales, a three-stage sales process, solution portability and being able to replicate their solutions in high-growth markets. MustGrow Biologics Corp. is an agricultural biotech company focused on developing and commercializing its unique natural biofumigant that acts as a fertilizer, nematocide and fungicide. Targeting the fruit and vegetable and the cannabis industries, MustGrow has designed an organic solution that uses the mustard seed’s natural defence mechanisms to protect plants from pests and diseases. Nerds On Site is a mobile IT support company that provides small to medium-sized enterprises (SME) with various services, including network installation and support, PC setup and tailored software services, among other services. Nerds On Site also provides its services to residential and corporate users. A notable corporate client of theirs is Canadian Tire (TSX:CTC.A). The company is currently operating in 10 cities across Canada and is planning on expanding their business into targeted areas in the US. Next Green Wave (CSE:NGW) is a vertically integrated seed to consumer producer and reseller of cannabis products and is building a world-class business and innovating a premium portfolio of brands in California. Led by a multiple Cannabis Cup winner for producing seeds and hybrids, and a team of seasoned executives, NGW strives to distinguish itself to be a dominant provider for cannabis products and services. Pure Global Cannabis Inc. (TSXV:PURE; OTC: PRCNF; FRA:1QS) is a vertically-integrated and growth-oriented cannabis company that is focused on producing high-quality pharmaceutical-grade cannabis for the global medical and recreational cannabis markets. Looking to address the global cannabis market, Pure Global has facilities in Canada and Colombia and also has its sights on the EU and Latin American markets. The company is primarily focused on creating a cannabis product that enhances the well-being of consumers and they have deployed a four point strategy to ensure that they are addressing consumer needs. Weekend Unlimited (CSE:YOLO) is capitalizing on its vast industry relationships to establish a lifestyle brand featuring premium products and delivering life’s highest moments. The development of Weekend Unlimited’s lifestyle brand is led by a team of business and cannabis industry leaders with an unparalleled track record. Weekend Unlimited aggregates and scales its small to medium brands, primarily in the categories of flower, extracts and edibles. White Gold Corp. (TSXV:WGO, OTC – Nasdaq Intl: WHGOF, FRA: 29W) is a gold exploration company with a property portfolio that is comprised of 21,218claims across 423,000 hectares in the Yukon’s prolific White Gold District. With their expansive land package, which includes a total of 34 properties, White Gold owns over 40% of the White Gold District, the site of the historic Yukon Gold Rush. Chemesis International Inc. (CSE:CSI) is a vertically-integrated seed-to-sale cannabis company that operates in Puerto Rico and California and is focusing on long-term growth and stability in cannabis markets across the globe. Chemesis provides consumers with a variety of high-quality products and has exclusive agreements with a number of renowned cannabis brands, such as California Sap. Dajin Resources Corp. (TSXV:DJI, OTCMKTS:DJIFF, Germany:C2U1) is a Canadian exploration and development company, holding strategically located brine-based lithium projects in Nevada and Argentina, with assets that tie Dajin to the clean-tech economy and growing demand for a strategic mineral. Deer Horn Capital (CSE:DHC) is a Canadian exploration company developing the Deer Horn property in west-central British Columbia. Deer Horn is the only known silver-gold-tellurium property with an NI 43-101 tellurium resource and the company is focused on providing minerals to the growing green energy industry. Silver and tellurium are crucial elements for photovoltaic energy and new battery storage technology. First Cobalt Corp. (TSXV:FCC, OTCQX:FTSSF, ASX:FCC) is a vertically-integrated cobalt exploration and development company with 3 significant assets located in Idaho, US and Ontario, Canada. The company is focused on supplying battery-grade cobalt for the rapidly growing electric vehicle (EV) market. Foran Mining Corporation (TSXV:FOM) is a Canadian exploration and development company with copper and zinc projects in the Hanson Lake volcanogenic massive sulphide (VMS) camp in mining-friendly Saskatchewan. According to the Fraser Institute’s Annual Survey of Mining, Saskatchewan was named the top mining jurisdiction in Canada and second globally. An emerging zinc-copper base metal district, the Hanson Lake area displays similar VMS structures to those found in the better-known Flin Flon and Snow Lake regions. IsoEnergy Ltd. (TSXV:ISO) is a mineral exploration company and subsidiary of NexGen Energy Ltd. (TSX:NXE). The company has built a portfolio of early-stage mineral exploration properties in the prolific eastern Athabasca Basin of Saskatchewan, and has recently announced the intersection of high grade uranium at the newly discovered Hurricane zone. Montan Mining Corp. (TSXV:MNY; FSE:S5GM) is an emerging low-cost gold producer working in the mining district of Caraveli, Arequipa Province, Peru. Montan will execute on a third party and partnered mineral feed model to maintain maximal throughput on a small gold mill to create near-term cash flow, allowing the company to grow organically. The Company will grow its supply through agreements and partnerships and acquire additional properties in the future. Primary Energy Metals (CSE:PRIM) is a Canadian junior exploration company based in Vancouver, British Columbia. The company is in the business of acquiring, exploring and developing ethically sourced cobalt, copper, nickel and vanadium. They are also focused on sourcing green energy power minerals for battery production. Primary Energy Metals holds properties in British Columbia, Canada and has signed letters of intent (LOIs) and partnerships aimed at developing a presence in Spain. Progressive Planet Solutions Inc (TSXV:PLAN) is a Canadian company dedicated to the exploration for and development of industrial mineral deposits. In addition, Progressive Planet is concurrently conducting product development initiatives for materials made using zeolite. Redfund Capital Corporation (CSE:LOAN) is a Canadian merchant bank that provides medical cannabis companies across the globe with funding solutions. Redfund’s portfolio consists of 10 to 15 companies that are currently generating a revenue of $2 million or more. Redfund’s CEO Meris Kott has been helping companies go public for over 25 years. Additionally, management owns approximately 15 percent of the shares in the company. Surge Exploration Inc. (TSXV:SUR, OTCQB:SURJF, FRA:DJ5C) is a Canadian energy metal exploration company with projects located in the mining-friendly jurisdictions of Canada and Chile. The company is focused on acquiring world-class properties with the potential to produce commercial-grade cobalt and lithium for buyers around the world. To this effect, Surge has acquired two cobalt properties in Ontario and a copper-gold property in British Columbia, Canada. The company is also in the process of acquiring a cobalt property in Atacama, Chile. Therma Bright Inc. (TSXV:THRM) (“Therma Bright”) is a progressive medical device technology company that is focused on serving the $21 billion cosmeceutical industry. The company holds and is seeking various trademarks and patents for its thermal therapy technology that uses heat and light energy to deliver effective, non-invasive and pain-free skincare. This includes their InterceptCS™ device, which helps prevent cold sores from materializing and their TherOZap™ technology, that utilizes thermal therapy to combat the effects of insect bites and stings. Ascent Industries (CSE:ASNT) is a vertically-integrated Canadian cannabis company focused on developing, branding, producing and distributing manufactured cannabis products across Canada, the US and Denmark. Ascent has been acquiring various cannabis companies and proprietary brands that they are able to mass produce. This allows Ascent to provide consumers with access to a variety of brands, producers and cultivators. Cobalt Blockchain Inc. (TSXV:COBC, OTC:COBCF) is a Canadian resource company currently focused on exploring and developing high-grade cobalt assets in the Democratic Republic of Congo (DRC). They are implementing a model that uses an innovative blockchain platform for mineral traceability, ensuring the ethical sourcing of materials. The Cobalt Blockchain management team has 12 years of on-the-ground experience in the DRC and have over 45 years worth of experience in the mining industry. Management is also notably invested in the company, holding 13 percent of the shares. Generic Gold Corp. (CSE:GGC) is a junior exploration company that owns multiple, well-positioned properties in the Tintina Gold Belt in the Yukon, Canada. Generic Gold owns nine properties that total 39,820 hectares of land in the Yukon. All of the company’s projects have been prioritized for exploration, but the company’s focus is on developing the VIP and Goodman gold projects. LottoGopher Holdings Inc. (CSE:LOTO, OTCQB:LTTGF, FWB:2LG) is a lottery messenger service with a subscription revenue model that operates in California, Texas and Virginia. LottoGopher operates under a subscription-based revenue model and subsequently offers three subscription packages for users to choose from. The subscription packages include a variety of services based on the package users choose. MediPharm Labs Inc. (TSXV:LABS) is a leading B2B Canadian cannabis extractor, producing purified pharma-grade cannabis oil and concentrates for the development of cannabinoid derived products. As part of their B2B model, MediPharm Labs plans to supply raw materials, formulations, processing and packaging for ready-to-sell advanced derivative products. The first Canadian company to become a licensed producer of cannabis oil under the Access to Cannabis for Medical Purposes Regulations (ACMPR) without first being a licensed cultivator, MediPharm Labs is focused on bringing pharma-grade products to the adult-use and medical cannabis industries in Canada. SRG Graphite Inc. (TSXV:SRG) is a Canadian resource company that aims to become a leader in the exploration, development and production of high-quality, low-cost natural graphite flakes. The company is also working on its wholly-owned nickel-cobalt-scandium laterite project. SRG operates out of the Republic of Guinea in West Africa. The Flowr Group (Okanagan) Inc., a Health Canada Licensed Producer (LP) of cannabis under the Access to Cannabis for Medical Purposes Regulations (ACMPR), is a leading cultivator founded by MedReleaf (TSX: LEAF) co- founder Tom Flow and a team of industry pioneers, successful start-up executives and top industry scientists. Flowr is building the most advanced cultivation facilities in the industry which it expects to generate consistently high crop yields, deliver premium and ultra-premium cannabis products, and maximize return on investment. The company also will be an R&D leader as it was selected by the Hawthorne Gardening Division of The Scotts Miracle-Gro Company (NYSE: SMG) as its exclusive Canadian cannabis R&D partner. Blox Labs Inc. (CSE:BLOX,FWB:BR1B) is a technology development company focused on creating best-in-class solutions using blockchain, smart contracts and decentralized application technologies. Blox Labs offers end-to-end solutions in a blockchain as a service (BaaS) model for their clients and ensures that their products are integrated seamlessly from proof of concept through execution and beyond. The company is working on two projects that will be addressing transparency challenges faced by the legalized cannabis market and the oil and gas industry. Vancouver-based Comstock Metals (TSXV:CSL) is a resource focused mineral exploration company advancing three projects in premiere Canadian mining jurisdictions. The road accessible Preview SW Gold Project is located 40 km north of La Ronge, Saskatchewan and the QV Gold Project is located within the White Gold District in the Yukon Territory and the Rawhide Cobalt-Silver Project in Gowganda area in Ontario. Goldplay Exploration Ltd. (TSXV:GPLY) is an advanced stage exploration company, with a diverse portfolio of gold, silver and base metal assets, ranging from recent discovery to advanced resource-stage.The company holds 6 properties, strategically located in a highly prospective geological setting in the Rosario mining district. Due to the rich mining history of the district, mining infrastructure and a skilled workforce already in place, allied with cost effective approach to carry out exploration, this translates to approximately 80% of shareholder capital currently being directly invested into the ground. Additionally, many of Goldplay’s properties are adjacent to each other and/or are located immediately adjacent to operations or exploration projects controlled by other major mining companies, such as Marlin Gold Mining Ltd. (TSX:MLN), Minera Penoles S.A. de CV (BMV:PE&OLES) and First Majestic Silver Corp. (TSX:FR), which can lead to future M&A opportunities. Grown Rogue is a vertically integrated, seed-to-experience cannabis company based in Medford, Oregon. The company is currently licensed for cannabis production and wholesale distribution in Oregon’s recreational market, and has both indoor and outdoor growing facilities in the state. GR intends to expand operations across multiple states, including California by late-Summer 2018, in partnership with other licensed operators. Inner Spirit Holdings Ltd. (CSE:ISH) is applying its franchise and retail model to the recreational cannabis industry, using a streaming strategy to establish a chain of dispensaries under its Spiritleaf brand. Inner Spirit has entered into multiple strategic partnerships and investments so it may offer its customers a variety of proprietary brands. Inner Spirit has formed multiple partnerships with various cannabis cultivators and producers to offer a collection of proprietary products under its Spiritleaf brand, including Prairie Flower, Ruby, Stone Selects and Spirit Joints. NuRAN Wireless Inc. (CSE:NUR,FWB:1RN,OTCMKTS:NRRWF) is a leading supplier of mobile and broadband wireless solutions. As part of its mandate, NuRAN’s aims to connect the world to the internet. To this effect, the company has deployed 8,000 indoor and outdoor network units on five continents in partnership with Tier One operators, such as Avanti Communications Group plc (LSE:AVN) and Africa Mobile Networks (AMN). Pancontinental Gold (TSXV:PUC) is a Canadian-based mining company focused on the exploration and development of its strategic battery metals projects in proven mining districts with excellent infrastructure, existing resources and/or in proximity to producing or former mines. The Company also holds the Jefferson Gold project, located in the Carolina Gold Belt,12 kilometres away from OceanaGold’s (TSX:OGC) Haile mine, which produced 574,606 ounces of gold in 2017. Solution Financial Inc. (TSXV:SFI) is a luxury and exotic car leasing provider dedicated to enabling luxury car dealerships and their clientele with a ‘white glove’ experience. Built on 14 years of profitable lease brokerage experience, Solution’s proprietary lease quoting system streamlines the process for dealers to provide alternative leasing options to clients and ultimately close more sales. Solutions novel quoting system evaluates the merits of lease transactions in real time based on current auto market values in addition to traditional lending criteria. In addition, Solution manages an online community portal (“LeaseClub”) for its extensive network of luxury car enthusiasts which helps drive demand for its Dealers and its own lucrative end of lease offerings. Solutions goal is focused on expanding this smarter approach to luxury car ownership across Canada. Bonterra Resources (TSXV:BTR; OTCQX:BONXF, FWB:9BR1) is a Canadian gold exploration company based in Vancouver. The company’s two major holdings are the Gladiator Gold project in Quebec, Canada and the Larder Lake Project in Ontario, Canada. The management’s primary goal is to define a multi-million ounce, high grade gold resource at its 100 percent controlled Gladiator Gold Deposit in the Abitibi Gold Belt in Quebec. Emblem (TSXV:EMC, OTC:EMMBF) is a Canadian cannabis company and a licensed producer (LP) of cannabis, growing through innovation, distribution and brands that resonate with consumers. The company is divided into three units with each targeting different facets of the market; cultivation, medical, and adult use. Falcon Gold Corp. (TSXV:FG) is a Canadian mineral exploration company focused on creating value for its investors through the acquisition, exploration and advancement of projects in North and South America. Currently focused on two projects in Ontario, Canada and in La Rioja, Argentina, Falcon Gold has a disciplined project vetting process for selecting strategic properties with the highest potential for value. Fission 3.0 Corp (TSXV:FUU) is a uranium project generator and property bank focused primarily on the Athabasca region in Saskatchewan, Canada. Within the region—known for being the largest producing district of high-grade uranium in the world and for hosting numerous current and past-producing uranium deposits—Fission 3.0 owns 20 properties with high-grade uranium potential. These strategically-located properties are at various stages of exploration and are distributed across the border of the basin. GreenTec Holdings (TSXV:GTEC) is a Canadian company with a multi-pronged approach to entering the premium cannabis market with a diverse range of products. GTEC’s wholly-owned holdings are at various stages of Health Canada’s Access to Cannabis for Medical Purposes Regulations (ACMPR) licensing process and specialize in cannabis cultivation, processing and testing. The company is deeply involved in every stage of their product from cultivation to the point of sale. IDM Mining (TSXV:IDM, OTCQB:IDMMF) is a Canadian advanced exploration and development company based in Vancouver, British Columbia. Their 17,125-hectare Red Mountain Gold Project is located 15 kilometers east of the mining town of Stewart, British Columbia, within the Nisga’a Nation’s treaty territory. The project also falls within British Columbia’s prolific Golden Triangle, an area that has faced a recent resurgence in exploration due to significant new discoveries, new mines, increased infrastructure and receding glaciers revealing new mineral occurrences. Since 2015, two projects within the Golden Triangle have gone into commercial production, Imperial Metals’ Red Chris copper/gold mine and Pretivm’s Brucejack high-grade gold mine. IDM Mining is set to become one of the Golden Triangle’s next high-grade, low-cost gold producer. James E. Wagner Cultivation (JWC) (TSXV:JWCA) is a cannabis company implementing a proprietary growing process that is based on aeroponic technology originally designed by Richard Stoner in the 1980’s and further researched by NASA. JWC’s proprietary methodology, GrowthStorm™, is being deployed in a 15,000-square-foot retrofitted facility in Kitchener, Ontario and the company is in the process of constructing an additional 345,000 square feet nearby. Once the second facility is complete in late 2018, JWC will be the largest aeroponics cultivator of any crop in the world. Koios Beverage (CSE:KBEV, OTC:SNOVF) is a US-based nootropic and functional beverage company specializing in cognition-improving drinks, powders and capsules to satisfy a burgeoning market of organic food and drink while also addressing demand from consumers looking to boost brain function. Koios Beverage has an available distribution network of over 2,000 retail locations in the US, host to the largest consumer base nootropics. This network includes high-profile retailers such as 7-11 and True Fit Gyms and a significant online presence through the company’s partnership with Wishing-U-Well and by being an Amazon choice product. Margaret Lake Diamonds Inc. (TSXV:DIA) is a diamond exploration company with two properties in the Northwest Territories (NWT), Canada. Both properties, Margaret Lake and Diagras, are located in a region seeing enhanced interest for diamond exploration. The company’s wholly owned Margaret Lake property is located only nine kilometers north of Canada’s newest diamond project, the Mountain Province Diamonds (TSX:MPVD) and De Beers Group Gahcho Kué mine, and two kilometers away from Kennady Diamonds’ (TSXV:KDI) Kennady North project, home to the Kelvin and Faraday kimberlite deposits. The company has launched an exploration program at the Margaret Lake project with the goal of further developing six kimberlite target areas on the property. Maricann Group Inc. (CSE:MARI; FWB:75M; OTCQB:MRRCF) is a licensed cannabis producer focused on cannabis cultivation, extraction, formulation and distribution. Having established operations in both Canada and Europe, the company is building a 217,000-square-foot facility in Langton, Ontario and also has subsidiaries operating out of Saxony, Germany, as well as Switzerland. New Point Exploration Corp. (CSE:NP) is an exploration company engaged in acquiring, exploring and developing mineral properties focused on supplying the growing battery industry. To that effect, New Point has been building a portfolio of high-grade lithium, cobalt and copper properties in mining-friendly jurisdictions in North America. RE Royalties Ltd. provide investors the ability to invest in a growing clean energy economy and to generate strong capital returns over the near-to-medium term and above-market yield over the long term. RE Royalties is the first royalty financing company to focus on the renewable energy sector. The royalty financing model is well-proven and royalty financing companies have a longstanding history of success in other sectors such as mining, oil and gas, pharmaceuticals, consumer services and agriculture. RE Royalties saw the rapid emergence of the renewable energy sector as an untapped opportunity to apply this foundational model that allows renewable energy companies a more flexible way to grow. RISE Life Science Corp. (CSE:RLSC) is a Canadian-based consumer products company developing cannabis-based health and wellness products. RISE Life Science is a Canadian-based company that started looking ahead to cannabis consumer product development four years ago. Their corporate objective is to build a suite of value-added products for the health and wellness category with an initial focus on sexual health. RISE Life Science knows that their ability to create products that deliver heightened experiences is also synonymous with their ability to raise the value of their products. Pacton Gold (TSXV:PAC; US:PACXF) is a gold exploration company based out of Vancouver, Canada, which controls the 3rd largest land holdings in the Pilbara Gold Region, known most recently as the biggest property staking rush in the last few years. The company is currently focused on developing its strategic land position in Western Australia, where it has made acquisitions for the Arrow, Impact Minerals, Friendly Creek and CTTR properties. These properties are strategically placed and are within close proximity to the Novo Resource Corp (TSXV:NVO) and DeGrey Mining Ltd. (ASX:DEG) properties, which have been displaying positive exploration results, yielding the target – gold nuggets. PreveCeutical Medical Inc. (CSE:PREV, OTCQB:PRVCF, FSE:18H) is an early stage biotechnology company focused on the development of preventative medicine. The company is partnered with the Pharmacy Australia Centre of Excellence (PACE) at the University of Queensland on their research and development (R&D) projects, which focus on developing a cannabidiol administrative device and program, a dual gene therapy program focusing on preventing type 2 diabetes and obesity and a peptide therapeutic program focusing on developing non-addictive analgesics for acute and chronic pain. Belmont Resources (TSXV:BEA) is an emerging resources company pursuing the acquisition and production of resource projects in the lithium, uranium, cobalt and zinc spaces, particularly in Canada and the United States. The company’s Nevada property, the Kibby Basin project, is a lithium brine project totaling 6,020 acres in Esmeralda County, Nevada. Belmont Resources’ second Canadian venture is located nearby to Saint John, New Brunswick, where the company has staked out approximately seven square kilometers of prospective zinc and cobalt deposits. Blackrock Gold Resources (TSXV:BRC, OTC:BKRRF, FRANKFURT:AHZ) is a mid-sized junior exploration company with three properties in North America. The company’s flagship property, the Silver Cloud project, occupies a highly-profitable region of Nevada, US, despite being itself relatively unexplored. Blackrock Gold is currently conducting a data review and permitting for the Silver Cloud project, and drilling is expected to begin by September, 2018. 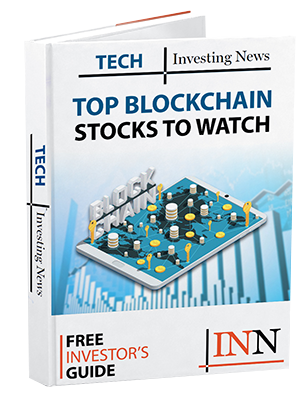 BLOCKStrain Technology Corp. (“BLOCKStrain”) (TSXV:DNAX) is a full-service software company currently launching a comprehensive, blockchain-based platform to serve the cannabis industry. BLOCKStrain’s solutions enhance efficiency, validity, security and visibility for cannabis breeders and growers. It is the first cannabis genetics and licensing archive platform that also plays a role throughout the supply chain, from gene-to-sale. Steve Loutskou, the founder and COO of Cannvas MedTech brings technology innovation to the burgeoning cannabis sector through data-driven business solutions. As a serial entrepreneur, Steve’s business experience allowed Cannvas to evolve from a concept to a company that’s changing the face of technology and cannabis. Forming a team of experts and implementing a growth strategy through innovation. Cannvas MedTech is led by a management team with notable experience in designing and building customer-centric marketing solutions that enable our partners to harness the power of data to truly understand their customers. Cobalt Power Group Inc. (TSXV:CPO; OTC PINK:CBBWF) is a resource company focused on developing its two cobalt properties—the Smith and Canadian cobalt projects—in Northern Ontario’s prolific Cobalt Camp. As they conduct exploration on the strike extents within the Smith property and continue to build out their presence in the Cobalt Camp, Cobalt Power is working towards being the primary player in the region. CROP Infrastructure Corp. (CSE:CROP, OTC:CRXPF) is a publicly traded Canadian corporation enabling licensed cannabis producers to achieve sector growth by providing capital for the acquisition of land, real estate, branding and infrastructure for their operations. Sensing increasing potential in the US cannabis market, CROP Infrastructure is an early mover targeting opportunities in a variety of states—Washington, California and Nevada, particularly—and is keeping its eye on legalization potential across North America. Fremont Gold (TSXV:FRE) is a Canadian gold exploration company with four advanced projects in the the largest gold-producing region in the Americas: the state of Nevada. The company management comprises seasoned explorers who have a notable track record of discovery, are always on the lookout for good opportunities and have experience shepherding shareholder capital. In less than 12 months, they have picked up several properties with historical resources, staked the northern part of the Carlin Trend and executed good exploration while spending less than $US1.1M. FSD Pharma Inc, (CSE:HUGE), wholly owns FV Pharma, a Canadian licensed cannabis producer under ACMPR aiming to develop the largest legal indoor cannabis facility in the world. As such, FV Pharma has acquired the former Kraft Foods (NASDAQ:KHC) production plant in Cobourg, Ontario and is converting it for cannabis cultivation with its joint venture partner, Cannabis Wheaton Income (TSXV:CBW) (“Wheaton”). GoverMedia Plus Canada Corp. (CSE:MPLS) is a technology company which has developed a comprehensive internet platform dedicated to addressing the needs of businesses and retailers in the Russian-speaking markets. Working out of its wholly-owned Russian subsidiary, GoverMedia Plus LLC, the company’s team has designed a variety of online services including e-commerce, social media, multimedia, crowdfunding, corporate databases and messaging platforms with the goal of bringing together Russian-speaking individuals across the world within a unique online ecosystem. Great Panther Silver (TSX:GPR) is a precious metals producing and exploration company operating in Latin America, exploring deposits in both Peru and in one of Mexico’s most historically prolific mining districts–one which has produced more than one billion ounces of silver in roughly 400 years. The company has two operational mines in Mexico: the San Ignacio mine, which is producing using the infrastructure at the company’s Guanajuato Mine Complex (GMC) in the state of Guanajuato, and the Topia mine in the state of Durango. Great Panther Silver (GPR) is also currently exploring their other Mexican properties, the Santa Rosa and El Horcón projects in the states of Guanajuato and Jalisco, respectively. iLOOKABOUT Corp. (TSXV:ILA) is a Canada-based software, data analytics and visual intelligence company dedicated to providing software as a service (SaaS) offerings to the real estate, property assessment, property taxation, insurance and appraisal sectors. Continually expanding and improving its services, iLOOKABOUT delivers powerful data analytics through its Real Property Tax Analytics (RPTA) software, as well as access to desktop reviews of property data through its proprietary GeoViewPort platform, which combines integrated analytics and workflow management applications. In parallel, the company also offers real estate consulting services under the umbrella of its Municipal Tax Advisory Group, servicing the property tax and valuation markets. Khiron Life Sciences Corp. (TSXV:KHRN) is a vertically-integrated medical cannabis company fully licensed to conduct its core operations in Colombia. The first Colombia-based cannabis company to be listed on the TSXV, Khiron Life Sciences is also positioned as a first mover in the most advanced regulatory environment in Latin America. In Colombia, Khiron has, as a fully-licensed producer, began production in its 80,000-square-foot facility located three hours away from Bogota. The facility has a yearly production rate of 8.4 tonnes, which will be processed so as to develop the company’s oil and tincture products. The company is also in the process of developing its first clinic, which will open in late 2018 in Bogota, providing patients with access to informed physicians and Khiron products. Pancontinental Gold (TSXV:PUC) is Canadian battery metals and gold exploration company with three projects in Canada and the US. The company’s mandate is to acquire early- and advanced-stage projects near currently or formerly operating mines. The company’s Jefferson Gold project is located in South Carolina’s Carolina Gold Belt. The project is located 12 kilometers away from OceanaGold’s (TSX:OGC) Haile mine, which produced 574,606 ounces of gold in 2017. Canntab Therapeutics is bringing pharmaceutical expertise to the cannabis market through the development of its patent-pending Canntab Extended Release (XR) Tablets™. Using proprietary extended release technology previously developed by the company, Canntab is producing a safe, stable and standardized delivery method for cannabis particles (CBD and THC) that is not burdened with the negative effects associated with smoking, edibles or topicals. CryptoBuyer is a technology company focused on commercializing blockchain technology for the financial services and remittance industries in Latin America. CryptoBuyer is introducing cryptocurrency into a space currently operated by established institutions such as Western Union, who charge up to 20 percent on all transferred funds. The company is led by a management team that has a strong footprint in fintech, blockchain and cryptocurrencies. Desert Gold Ventures Inc. (TSXV:DAU, OTC:DAUGF, FKFT:QXR2.F) is a gold exploration company focused on developing its high-grade gold properties along or near the Senegal Mali Fault Zone (SMFZ) in Western Mali. Known for having an extensive history of gold mining, Mali is the third largest gold producer in Africa and is also renowned for its low cost of mining. Enterprise Group Inc (TSX:E) is a specialized equipment rental company that provides rentals and services to the energy, utility, pipeline and transportation infrastructure industries. With an established footprint in Western Canada, particularly in Alberta and Northeastern British Columbia, Enterprise Group has grown its business by actively acquiring ‘best-in-class’ companies including Artic Therm International, Hart Oilfield Rentals and Westar Oilfield Rentals. eXeBlock Technology Corp (CSE:XBLK) is a Canadian tech firm that designs custom, scalable blockchain based software applications for businesses and organizations in global markets who want to leverage blockchain technology to improve performance, ensure security and generate profits. Headquartered in a cold war era nuclear bunker in Nova Scotia, eXeBlock’s services include blockchain technology consulting, blockchain application development and custom blockchain development. 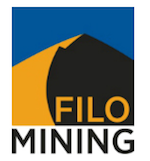 Filo Mining Corp. (TSXV:FIL, Nasdaq Stockholm:FIL) has a 100 percent interest in a major new development project called Filo del Sol located in the Andes along the Chilean/Argentine border. It is a large copper/gold porphyry system overlain by a high-sulphidation epithermal copper-gold-silver deposit. HPQ Silicon (TSXV:HPQ) is a technology and resource company working towards becoming a vertically integrated producer of high-purity, solar-grade silicon metal. By entering into strategic partnerships with companies at different stages of the quartz-to-solar cell value chain, HPQ Silicon is enhancing the silicon metal production process and reducing its associated costs. Kontrol Energy Corp (CSE:KNR) is a leader in the $2 Trillion global energy efficiency market which, according to the IEA, is the fastest growing energy market globally. Through distributed energy, the Internet of Things (IoT) and blockchain technology, Kontrol helps their customers reduce their overall cost of energy and Greenhouse Gas (GHG) emissions. Lineage Grow Company Ltd. (CSE:BUDD) is a cannabis company dedicated to developing high-quality, craft cannabis using precision agriculture techniques. Combining best-of-breed plant genetics, deep water culture and controlled microclimates, Lineage Grow plans to disrupt the cannabis market by using leading technology and small-batch production techniques designed to optimize the cannabinoid, flavor and smell profiles of its products. This combination of systems and processes will also help optimize energy use and reduce water consumption, enhancing the economics of craft cannabis production—usually an expensive approach. Millennial Esports (TSXV:GAME) is a game development company focused on Esports Racing looking to disrupt the Esports landscape by creating innovative, real-world experiences for its users. Using a global, vertically-integrated approach, Millennial Esports has multiple touchpoints with the Esports space, through offerings like content publication, online and offline event hosting, data analytics and established relationships with major sports institutions like F1 and IndyCar. The company is also exploring opportunities in the blockchain space, supported by their major investor, Global Blockchain (CSE:BLOC). Pistol Bay Mining (TSXV:PST) is a base metals exploration company currently focused on developing its 20,700-hectare zinc-copper land holding in Ontario’s Confederation Lake VMS Greenstone belt. Owning 100 percent of its holdings, the company is currently exploring the property and its historic deposits having kicked off its initial drilling program in March 2018. Stratabound Minerals Corp (TSXV:SB) is an exploration company currently focused on exploring and developing its flagship Golden Culvert project located in the exciting new gold district of the Upper Hyland gold corridor in the Yukon, Canada. The Stratabound project is similar to and is located in near proximity to Golden Predator’s (TSXV:GPY) 3 Aces project, which hosts high-grade gold mineralization that is being developed. TokenFunder is a Canadian leader in the securitized digital token industry, currently building an innovative blockchain-powered market platform on which it plans to launch and manage regulatory-compliant initial token offerings (ITOs), one of the latest trends in financial services. The first to be approved by the Ontario Securities Commission in November 2017, Toronto-based TokenFunder’s platform is regulatory-compliant. Following its current ITO—due to be closed on April 30, 2018—TokenFunder will use its proceeds to further develop its Smart Token Asset Management Platform (STAMP) as a deliverable service to potential clients. The company’s target market segments include innovative startups, rapidly-growing businesses and established organizations looking for disruptive funding solutions. VanadiumCorp Resource Inc (TSX:VRB) is a mining and technology company that has developed disruptive process technology and vanadium supply for sustainable energy storage technologies. After a decade of vanadium resource development, VanadiumCorp chose to explore innovative approaches for processing to address the global shortage of battery grade vanadium. Xanthic Biopharma is a premium cannabinoid life sciences technology brand that has developed a patent-pending technology to make the two key active ingredients in cannabis—THC and CBD—soluble in water. By targeting a gap in the cannabis marketplace—cannabis molecules have so far only been dissolved in oils—Xanthic Biopharma has designed an innovative approach to cannabis consumption that addresses the needs of medical and recreational cannabis consumers. Azincourt Energy Corp. (TSXV:AAZ) is a resource exploration and development company focused on building a portfolio of uranium and lithium projects for the alternative energy sector. Azincourt holds interests in two highly prospective uranium plays in Canada’s prolific Athabasca Basin: East Preston and Patterson Lake North. Danakali Ltd. (ASX:DNK, OTCMKTS:SBMSF) is developing the world class Colluli potash project (Colluli or the Project) in Eritrea, East Africa. The company has completed a highly favourable definitive feasibility study in 2015 for a two stage development focusing on the production of sulphate of potash (SOP). The DFS demonstrates industry leading capital intensity, low development capital, bottom quartile operating costs, long mine life, and low incremental growth capital. Deep-South Resources (TSXV:DSM) is advancing exploration on the Haib copper-molybdenum project located in the mining-friendly jurisdiction of Namibia. Deep-South recently signed an agreement with Teck Namibia, a subsidiary of Teck Resources Limited, that gives the company full ownership of the Haib project. Happy Creek Minerals Ltd (TSXV:HPY) is a mineral exploration company focused on the development of its two key projects, the Fox tungsten project and the Highland Valley copper project in south central British Columbia, Canada. Happy Creek Minerals has held the Fox tungsten property since 2006 and has advanced it from discovery towards development. Hiku Brands Company Ltd. (CSE:HIKU,OTCUS:DJACF) is focused on handcrafted cannabis production, immersive retail experiences, and building a portfolio of iconic, engaging cannabis lifestyle brands. Hiku is differentiated as the only Canadian craft cannabis producer with a significant national retail footprint and a growing brand house including premium cannabis lifestyle brands DOJA, Tokyo Smoke and Van der Pop. NanoSphere Health Sciences (CSE:NSHS) is a nanobiotechnology company paving the way in the development of innovative delivery systems for cannabinoids, medications, nutrients, and animal health. Built on a foundation of over 20 years of research and development, NanoSphere has designed a patent pending delivery system that increases the effectiveness and delivery time of cannabinoids (THC and CBD) by nanosizing the particles and transporting them directly into the bloodstream. New Tech Lithium Corp (CSE:NTM) is a resource company focused on the exploration of lithium and potash within the Paradox basin in Utah and Colorado. As a first mover in the region, New Tech Lithium has holdings in three properties: the Ten Mile lithium and potash property in Utah and the Southeast Lisbon Valley and Andy’s Mesa properties in Colorado. Nevada Copper (TSX:NCU) is an emerging copper company focused on bringing its wholly-owned Pumpkin Hollow copper project in the mining-friendly jurisdiction of Nevada, US to near-term production. The property hosts a total mineral reserve of over 5 billion pounds of copper and measured and indicated resource of over 6 billion pounds. The project is the only large-scale copper project fully permitted within the US and is well positioned to enter a copper market with a looming supply deficit and rising prices. Solitario Zinc Corp. (TSX:SLR, NYSE:XPL) is an exploration and development-stage junior focused on becoming a mid-tier zinc company. Solitario is building a strong portfolio of zinc properties across the Americas. The company has significant interest in two large high-grade zinc development projects through joint venture agreements with two of the world’s top five zinc producers. These partners have the technical and financial capabilities to advance projects to production. Vangold Mining Corp (TSXV:VAN; OTC:VGLDF) is a silver and gold mining company focused on bringing the historic high-grade El Pinguico mine on the Mexican silver belt in the Guanajuato region to near-term production. Unlike traditional mining projects, El Pinguico is unique in that it has over 700,000 tonnes of stock ore—at surface and underground—remaining from historical mining done on the property in the early 1900s. Venzee Technologies Inc (TSXV:VENZ) is a technology company innovatively using artificial intelligence (AI) to sync product information between retailers and their supply chain within the US$23 trillion global retail industry. To date, Venzee has developed a cost-effective AI platform that helps seamlessly exchange product information and inventory updates between suppliers, manufacturers and retailers. Focused on enhancing the adoption of its AI platform, Venzee is revolutionizing the way e-commerce is conducted.